Products and Suppliers I reguarly use and would happily recomend for anyone into RC models. Actuators are a great way to get things to move. Check these out! 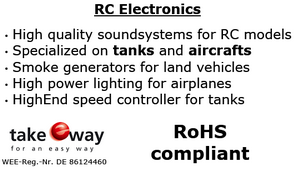 Specifically made for RC so plug and play. A new supplier I came across for 1/14th scale truck bits and pieces. Proactive approach with good customer service. If you are into trucking check them out! 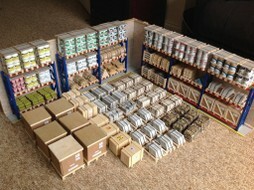 You want loads for you 1/14th scale trucks? Look no further than Bob Denny. Check him out on Face Book! Link below! A Good supplier for minature Hydraulics and other truck related parts. Worthwhile checking out his website. Sounds in a model make all the difference. I use these in my big 1/6th scale tanks. Good clear sound and will fit in smaller models too!